Congratulations on winning July 2011 COTM Lee! 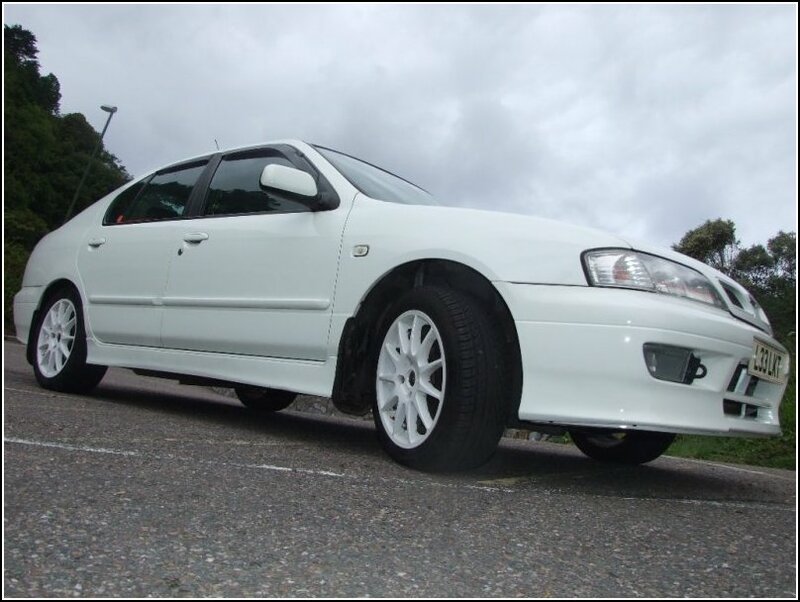 Only our second ever white Nissan Primera P11 to be featured and what an awesome low mileage example it is! You and the GT are welcome members to the NPOC history books - How does it feel bagging this exclusive award and the awesome COTM trophy as well? Honestly? I didn’t see this one coming. There are so many awesome Primeras in the club; I just thought that maybe one day I might be in with a shot. I’ve just been bobbing along, treating my GT the same as I’ve treated all of my cars over the years and to my surprise, the C.O.T.M award has come sooner than expected. Shaun (essNchill), when you told me that you had ‘something for me’, I honestly believed it might have been an NPOC Tax Disc Holder (am still on the sniff for one F.Y.I – Group buy anyone? LOL). I just didn’t have any idea! Me. . . . . Well I’m 36 and am from Torquay, in Devon. I joined the Army in 1992 and disappeared for a few years. From there I spent a long while driving Continental Class 1. 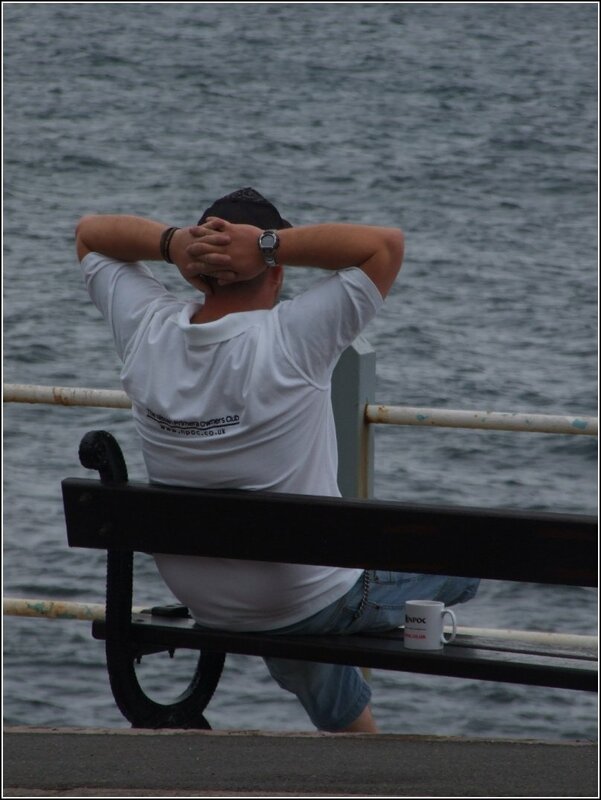 Nowadays I live in Torquay with Katie Lauren and work as a Team Leader in a specialist unit for young people with behavioural difficulties, based in Somerset. We spend a lot of time with our dogs, Millie the Basset and Charlie the Jack, as well as looking after my two girls at least once a week. As far as hobbies go, I don’t really have time for a great deal these days. I did used to play paintball at a reasonably high level, having played at tournaments across Europe, America and Canada. If I am totally honest, my spare time is used up maintaining the GT to the best possible standard, along with the occasional days carp fishing. I originally found NPOC when I owned my last GT, a Silver P11 Loon. At the time I had plans to ‘do stuff’ and was hoping to get some guidance from the forum, but in the end I just used the car for what it was and kept it standard. I did, however, think that the forum was well packed out with tonnes of helpful stuff and made a point of becoming a paid member soon after the white GT came up. One thing I would like to say is how good it is that members are so keen to help each other out. I’d like say a big shout out to Keefy (Janner) who has been consistent with his help and endless knowledge of all things Primera. Would I recommend the club? I can’t help it! LOL. Whenever I see a Prim and get the chance, I always make an effort to speak to the owner. If you are the owner of a Prim it just makes total sense to join. Originally it was Vic (Moogymum) who persuaded me to become an Elite. I looked into the savings across the year and decided that £4 a month was nothing but a good investment. The first benefit that I saw was at last year’s JAE. The savings that the club gave the ‘Elites’ just made the whole experience a whole lot sweeter. A saving that I enjoy at present is the Service Kits. My local Nissan Dealer historically charges a fortune. NPOC are providing them at a snip of the cost, and Elites benefit from a further discount. Win, win every time. 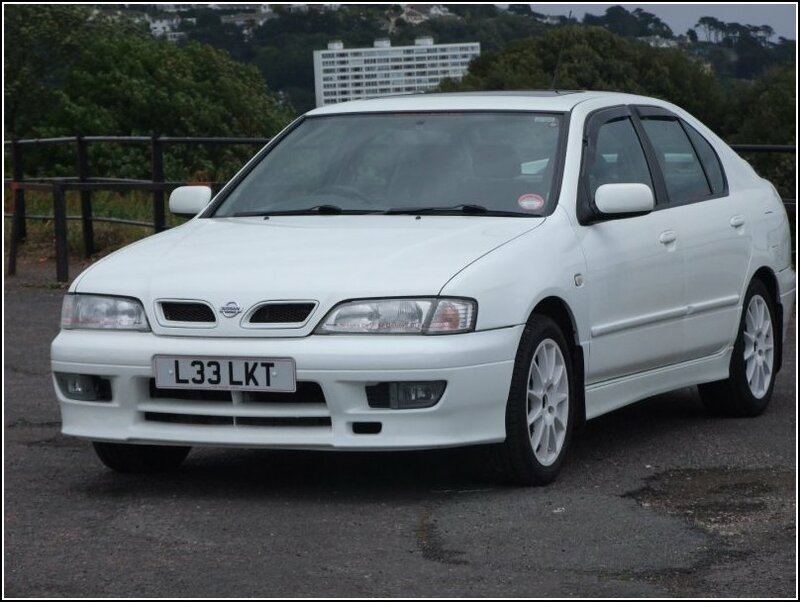 I recall that you’re far from a virgin to the Nissan Primera brand, having owned 1 or 2 previously! So tell us, how many have you had and do you wish you’d have kept any of them, or is it all about the white GT now? 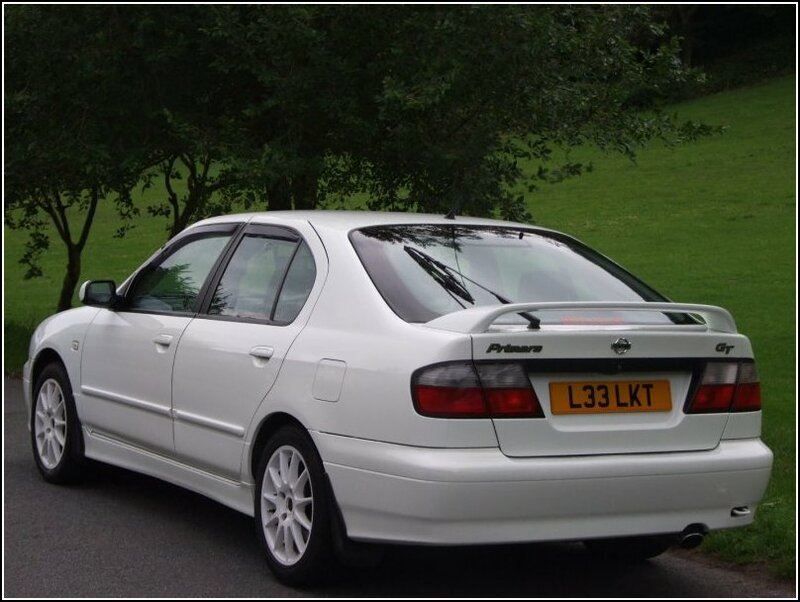 Yeah I popped my Nissan Primera cherry back in 1999! She was an ‘N’ Plate P10 eGT, in metallic green. My Dad had worked at Nissan for some years and constantly raved on about them, so I thought I would have a go and buy one. Awesome! I was well and truly hooked from there. Unfortunately had to sell it in order to raise a deposit for a house. I was gutted, but needs must and all that. The next was a P11 144 Sport+ in 2003. I had a caravan and wanted something with a good amount of power. The P11 144 nailed it perfectly. Once the caravan obsession passed, I felt the need to try a P11 GT. I was lucky to find the silver saloon right here in Torquay with 44k on the clock. I kept that one for nearly 3 years before the rust took over and it became uneconomical to look at repairing. 2008 saw the purchase of another 144, but this time the 1.8 Activ model. 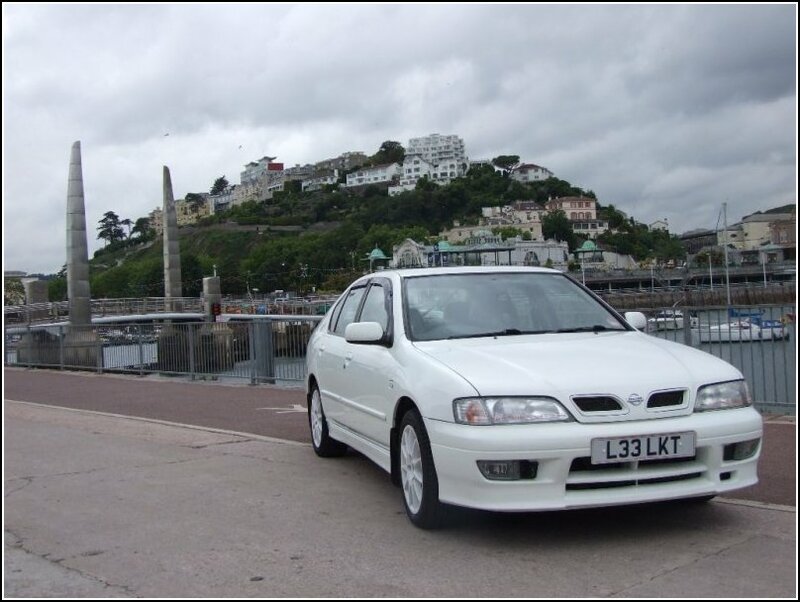 This Primera is now owned and driven by my ex wife, but I still maintain it. It is a faultless drive. 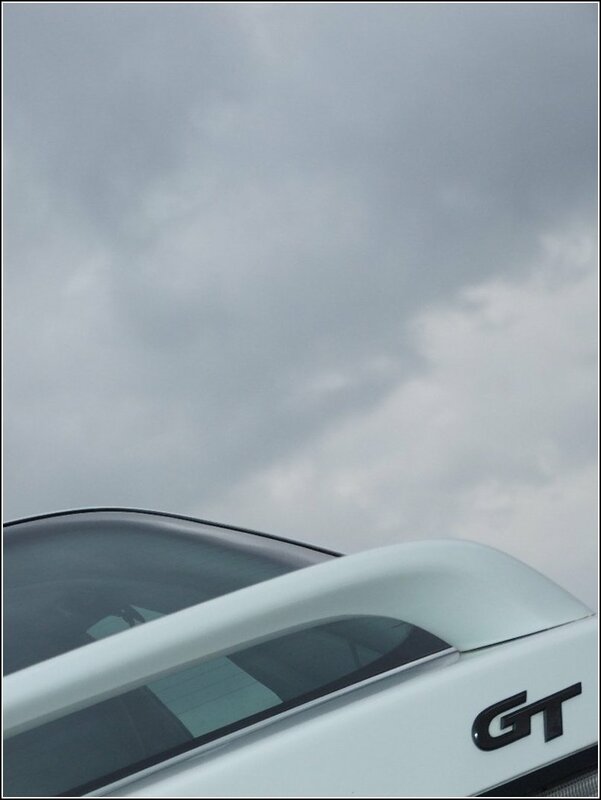 Then came the white P11 GT, purchased in 2009. Unbelievable and ORIGINAL 19K only on the clock, with every conceivable bit of paperwork to prove it. It was just the car that I had always wanted to own. As I have said, I spend a lot of time on this one now, more than I ever spent on the others. She’s special! Has it always been a Jap car thang for you? Or have you come from elsewhere and after finding the light, just stuck at what’s good / works? When stationed in Germany in the early 90’s I was a Ford man. 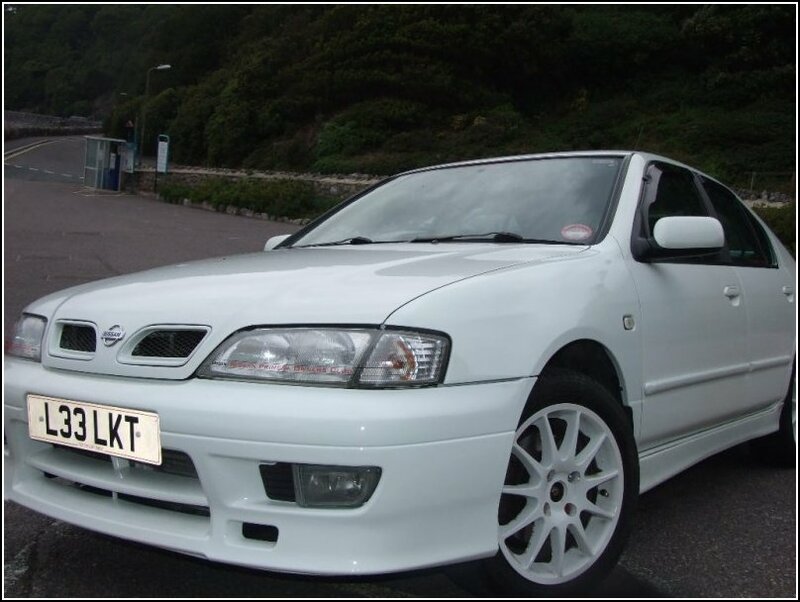 Went through the whole range of XR’s and RS’s, but sadly this ended when I had an accident in my MK 4 RS Turbo, which placed me in hospital for 5 weeks and which very nearly ended my life. After that I got a Renault 5 Turbo, which didn’t last long, so I bought a KIA PRIDE. Yes you read that correctly. LOL! My first ever Jap / Korean type car and it was great. Reliable, well built and value for money. There started the love affair. 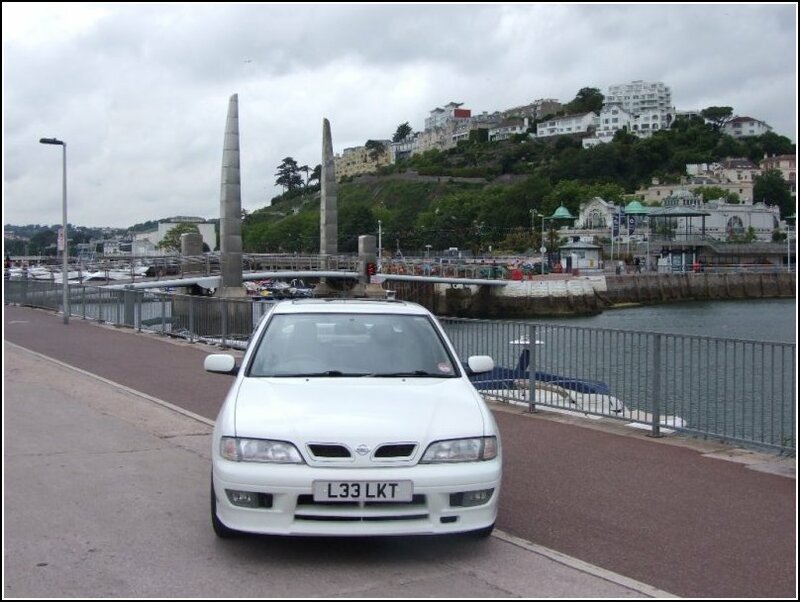 Recently your partner Katie Lauren (also an Elite Member at NPOC), stepped up and bought a Nissan Primera P11 144 wagon (respect!) – How much of that was down to you? I introduced Katie to the Prims. When we first met and started talking she had me at “I love Jap Cars”, as she was driving a 1993 Honda Prelude at the time. 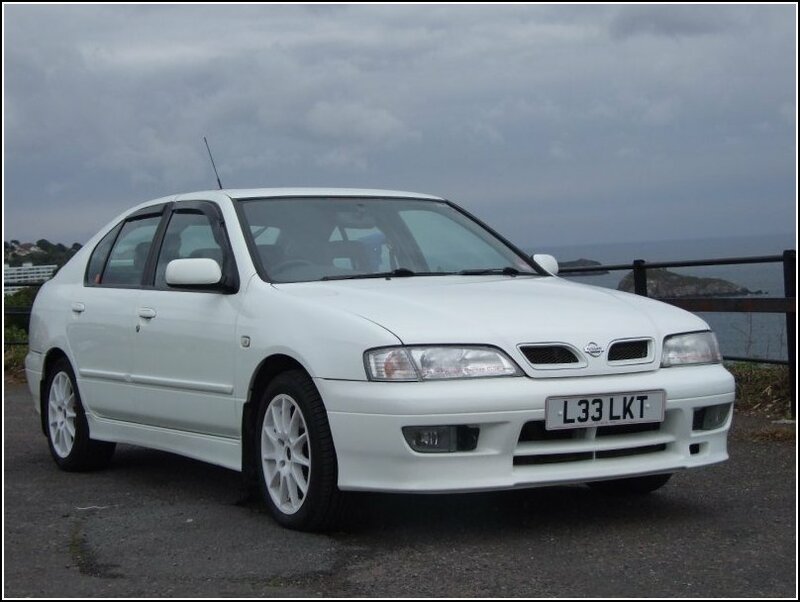 Katie ended up buying my old Pug Estate from me when I bought the GT. The Pug was recently written off after a minor accident, which then left us with a headache. I have always liked the P11 144 wagon and so suggested it. Katie’s initial thought was that it looked like a giant Nissan Micra on the front end and she wasn’t keen. However after looking at several, they began to grow on her especially when she found out it had almost as much power as the GT! We decided that the green wagon was going to fit the bill. I also heard good things about the auto transmission, which was added benefit as Katie had previously broken her foot and still gets pain when driving. Thanks to Geordie the green P11 144 wagon will not be staying ‘Standard’ for much longer…. Watch this space! 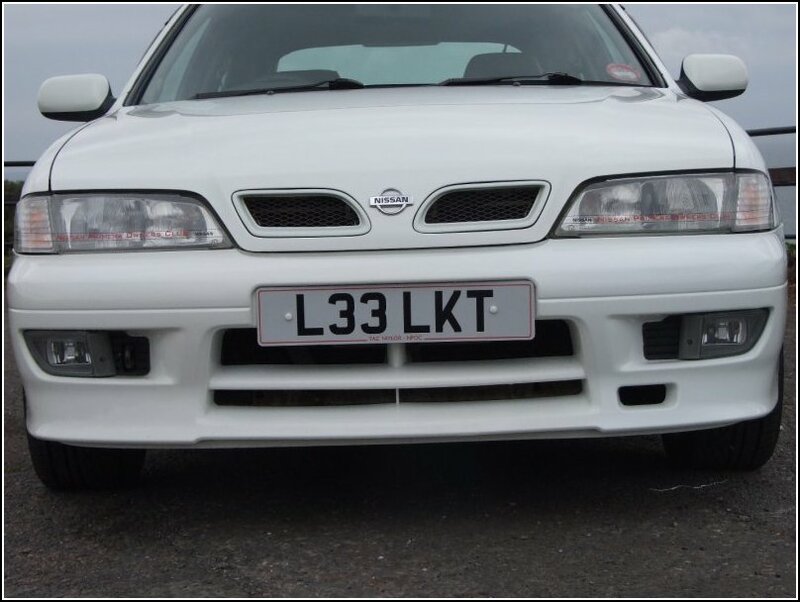 You have some subtle and choice modifications on this car but overall you have kept it OEM looking and rolling with what Nissan designed, is there any sort of reasoning behind this? Is there a modifying monster inside you, waiting to be set free? 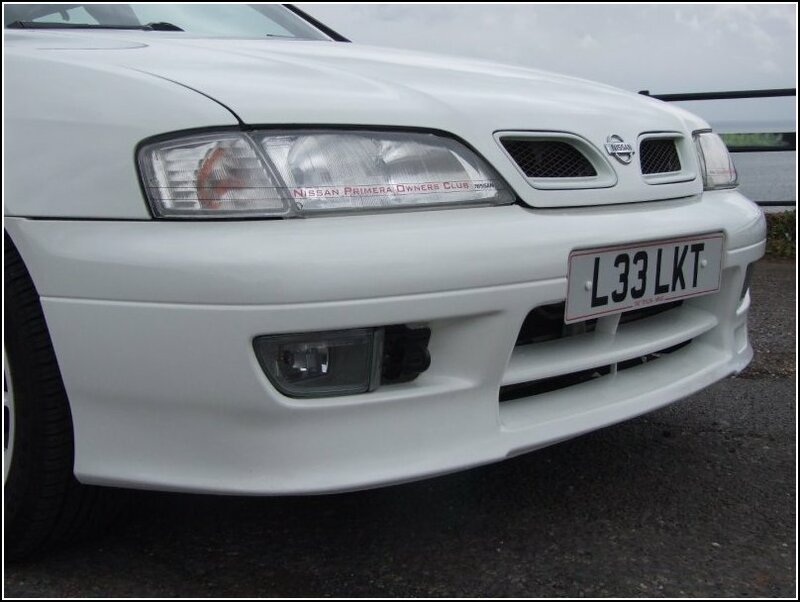 I love the original look of the Nissan Primera P11 GT. I like the idea of a wolf in sheeps clothing and have heard this said about the GT on numerous occasions. I realise that there are modifications for all sorts of things and I’ll honestly say that I appreciate them all. But at the end of the day it’s personal choice and personally I want to keep mine well within OEM limits. We know your P11 GT has a ridiculous low mileage (please do remind us all what it’s currently on! ), does this deter you from driving it to the shops to keep that mileage down? 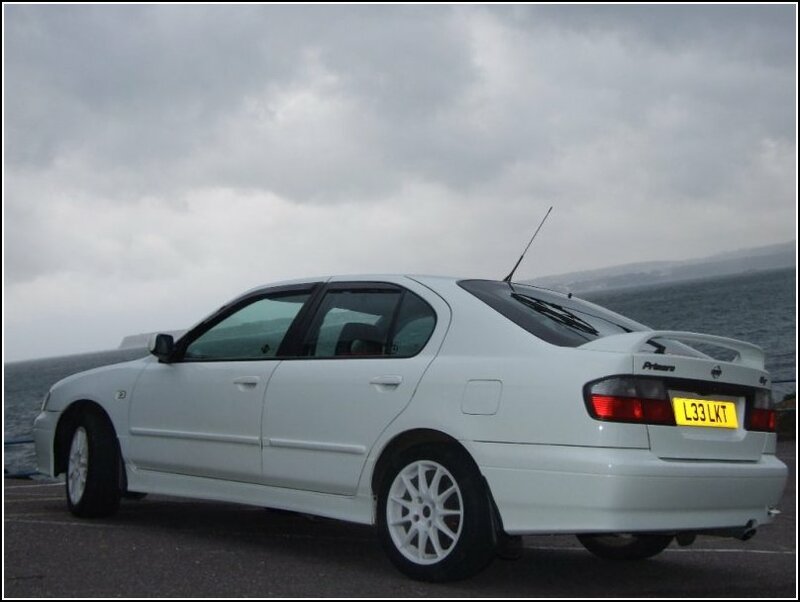 Or was the low mileage just a plus point when buying and you have no worries about putting miles into this one? She is currently on 43k. That’s 24k in 2 years! Shocking behaviour! LOL! Myself and Katie are awaiting the renovation of our new home to be completed and with that is a 3 car driveway. 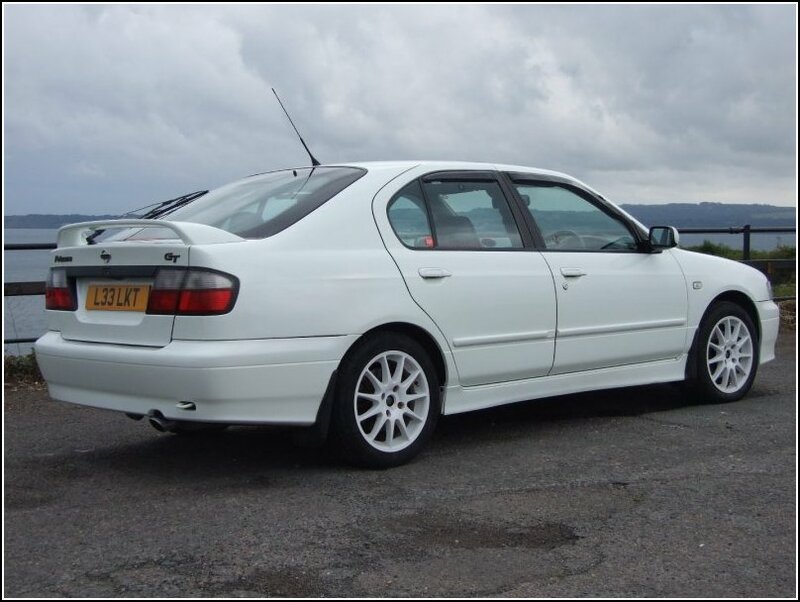 The plan is to then buy my old P11 144 from my ex and to use that as my runner. 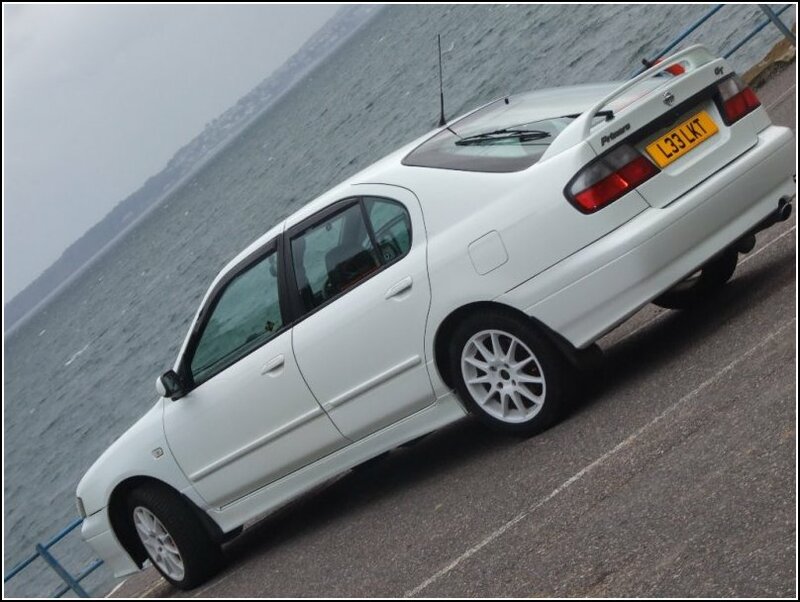 The white GT will then be used for meets and shows and occasional weekends of posing around the bay. I feel that it deserves the effort as it really is such a clean example. White 16” Enkei GTLE alloys - Not sure if they are staying as I have a set of 16” Azev alloys (from a Mystic) being refurbed, but I think that the white on white is very eye catching. That’s as far as its going! The rest of the car is completely standard. The wind deflectors. A really cheap and easy mod and I love the look of the black against the white. 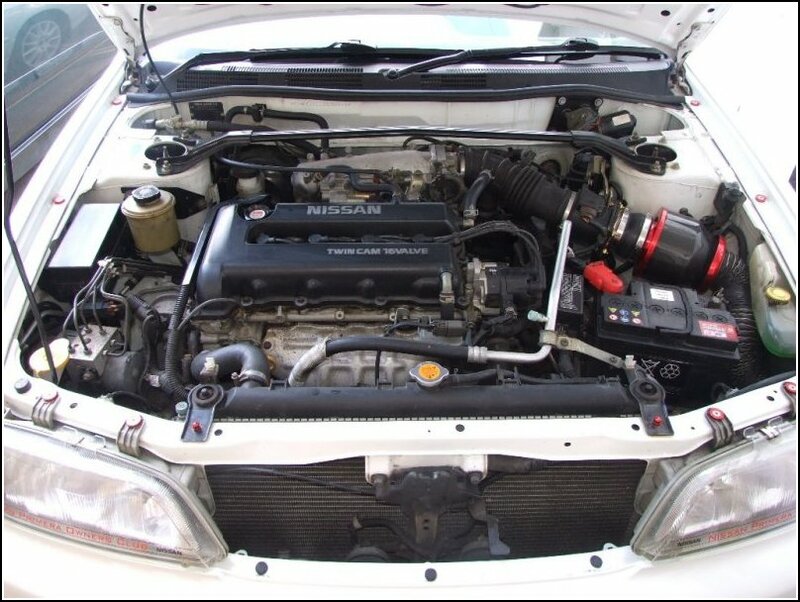 Do you do any DIY stuff (mods / servicing) on the car yourself, or are you a regular at a local garage? I’m not really handy with cars. 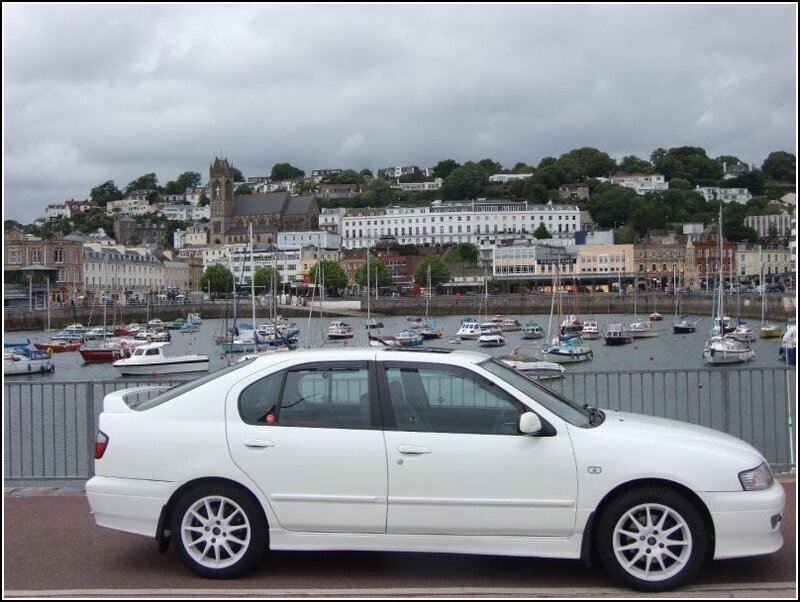 I have got a friend who worked for a Seat Rally Team as a mechanic and who has started his own garage in Torquay. I always supply the bits and he fits them. Plus I get a morning of chatting cars and drinking brews. Makes it more of a pleasure than a chore! I’d get the seats completely refurbished. That is a really hard question to answer and if I’m gonna be honest, she’s fine as she is. She makes me smile everyday and that’s all I want. Any future plans for the car in the pipeline? Other than taking her off the road (part time), none at all. Land or Sea? – Land. Estate or Hatchback (careful now!)? – Errrrr, Hatch. Evo or Impreza? – Neither – I don’t like them, sorry. 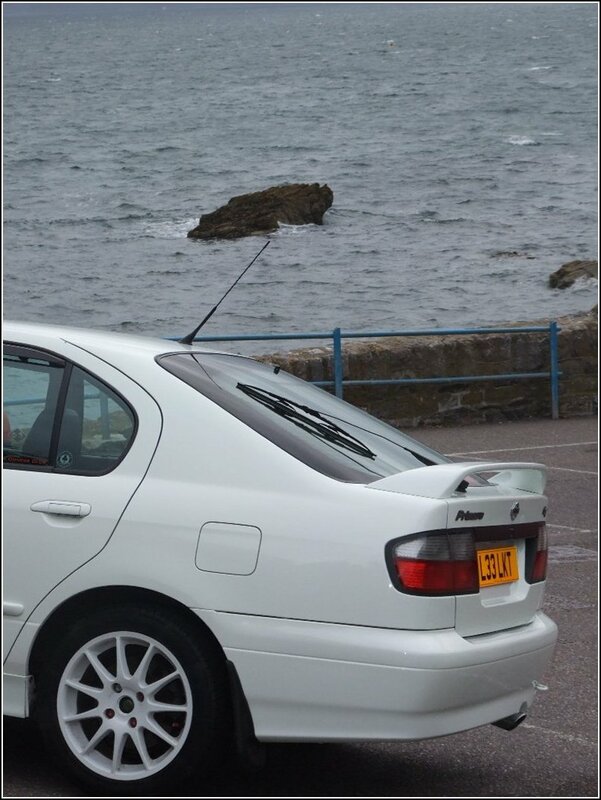 JAE or Japfest? – JAE. Nordic or Mystic? – Nordic. Beer or Wine? – Wine. Morning or Night? – Morning. Tell us your favourite NPOC car? – "Schwen"s P10 – Truly awesome, an absolute tribute. Since becoming a member, you’ve been to a lot of our Club Meets both regional and national – Tell everyone why they should take the time to get out to our meets. I like the idea of a ‘club’. A group of like minded people meeting up, being in touch. Obviously there are members all over the country and further, so I think it’s good to meet people in person. There are other members who, like me, travel great distances to go to shows and meets. It’s good to see how people are prepared to make the effort. I also give a lot of support to the regional meets as I believe it’s good to have a network locally. The last couple of South West meets have been successful. 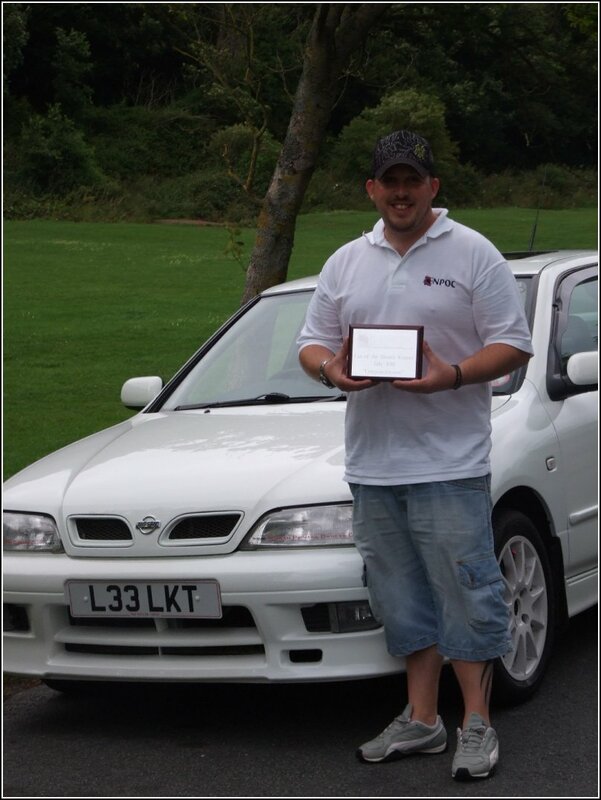 How did it feel to win best OE / Standard Spec Nissan Primera on the NPOC Stand at JAE in 2010 (as voted for by our members)? We see your name is already on the attendance for JAE 2011, can you bring home some Club silverware 2 years running? I was completely choked. I do put a lot of work in to the car and I was flattered to receive several compliments. But the Award for best OE / Standard just topped it all off. I felt I had been welcomed by the club, and what a welcome that was. Thank you guys! Hopefully I’ll win some more silverware this year at JAE but it’s all down to the members voting. 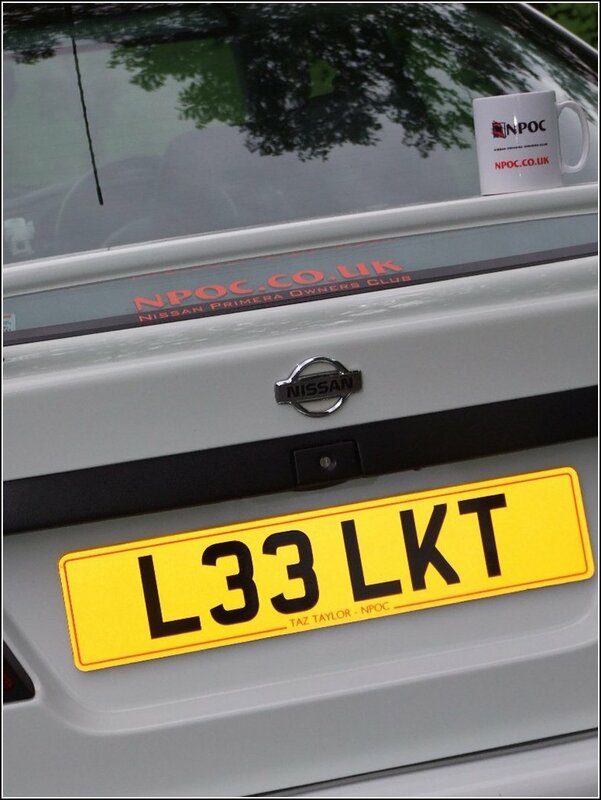 Yes NPOC for life, not just for Christmas!. It’s not all just cars. I enjoy NPOC’s take on things, i.e. “Members first, cars second”. I think there’s something to be said for simple clean cars that do the job, without the all singing all dancing all electric add ons. 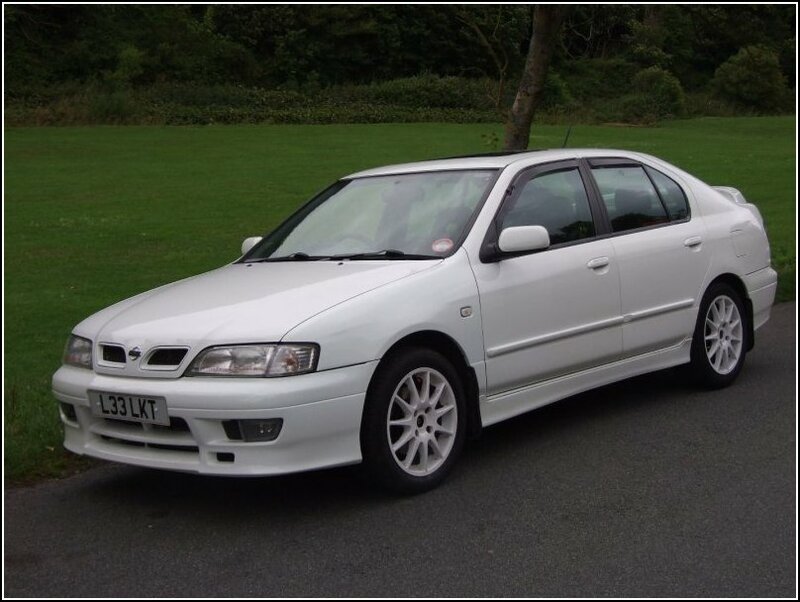 The Primera has always delivered and is renowned for its reliability. The GT is a bonus to this with the extra power and handling, whilst giving the driver the feeling of driving something extra special. 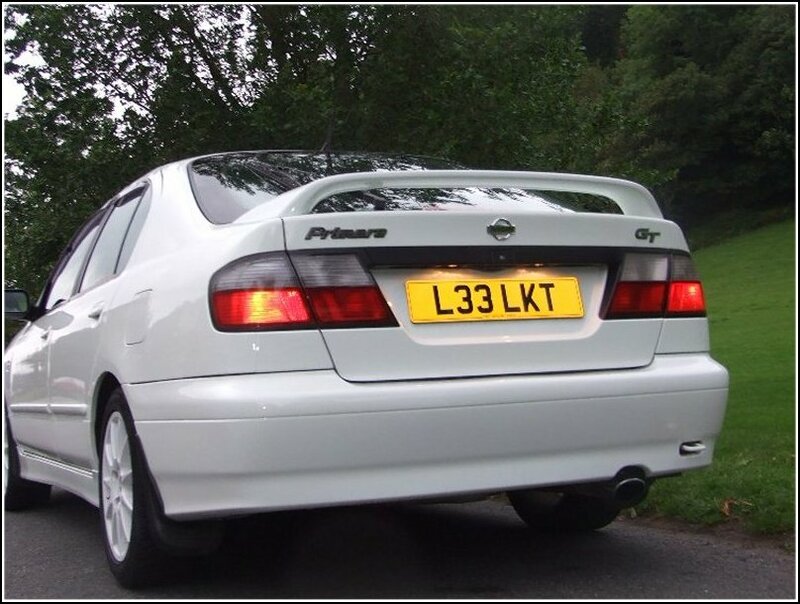 The Nissan Primera P11 GT to me encapsulates everything good about cars from the 1990’s. Maybe it should be kept exactly as that and not be re-released, it gives it that ‘retro’ feel which makes it such a unique drive. Having received the trophy and good news that you were our winner for July 2011 COTM (back in May). Then sadly the GT was involved in an accident before we got this feature done, after all the frantic rushing around to get replacement parts and the car repaired (ready for the photoshoot), was it all worthwhile now you’re sat here looking at the feature? Of course, it would always be worth it. I’m fortunate to have some good friends who know some very good motor trade professionals. I got all of the parts sourced quick time and the car booked into the body shop. It was so gutting to see her all smacked up, but at the end of the day my main concern was that Katie was OK. The car would always get repaired whatever happened. It’s good seeing her all up and running again. It was off the road for a week and a bit and I felt like I had one hand tied behind my back. 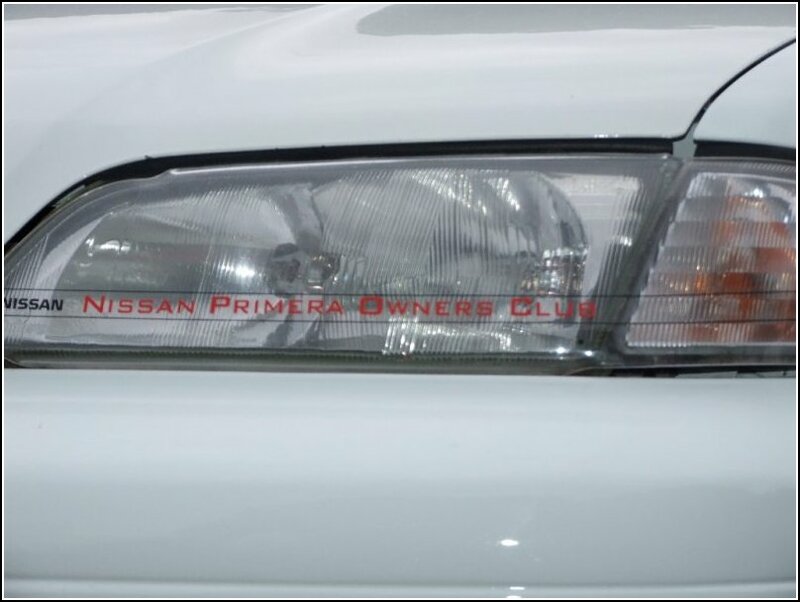 I would just like to thank “Neilistic” for coming to the rescue with a headlight, and Martin “prim-n-proper” for my 2nd pair of headlight protectors LOL - Once again underlining the benefits of being in a club full of top people! 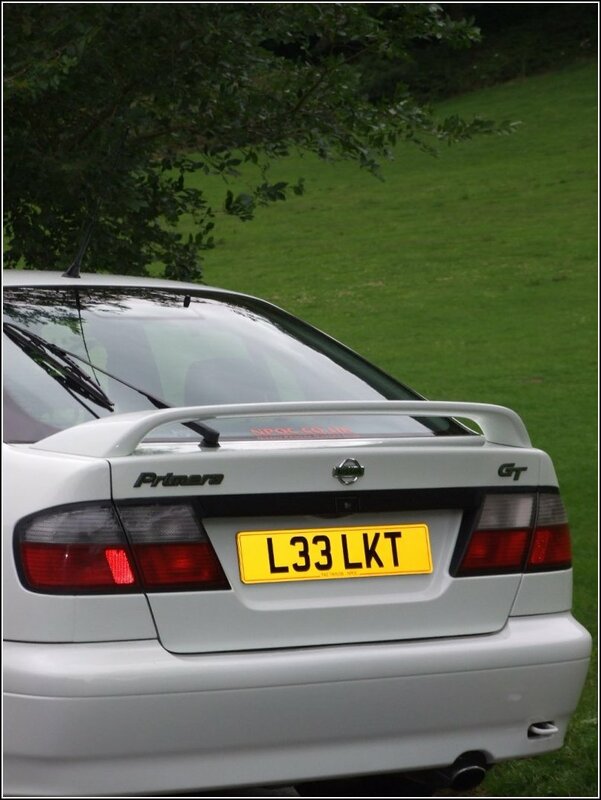 Many thanks for telling us all about yourself and your lovely Nissan Primera P11 GT Lee, proof that Nissan made a cracking car without anyone needing to transform it! 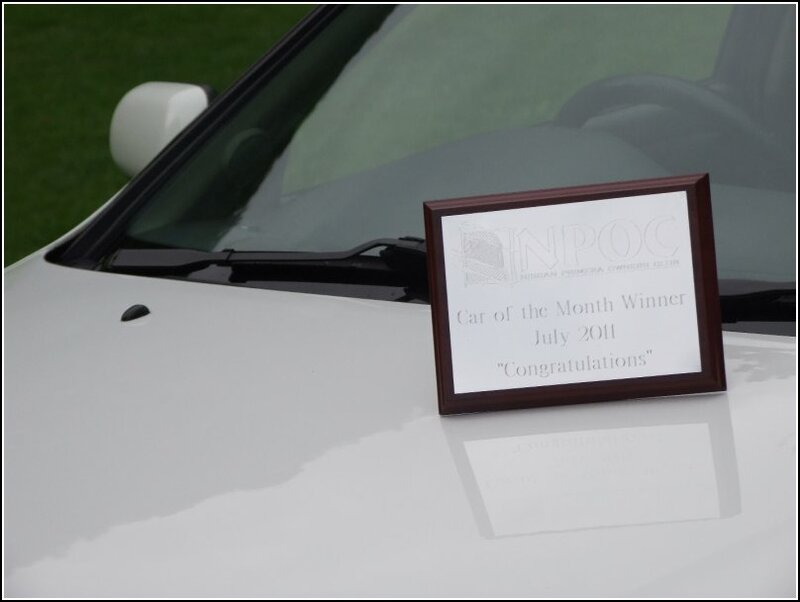 Congratulations once again for winning Car Of The Month for July 2011! Please end this feature, in your own words and feel free to thank anyone who’s made this one possible. I would like to thank firstly Vics (MoogyMum) who encouraged me to get more involved in the club, the first NPOC meet I ever attended was one I organized in Newton Abbot and had a fantastic welcome. Secondly I’d like to thank everyone who voted for my car as best OEM Standard at last years JAE, this has made me realise how fortunate I am to own such a cracking example. This still drives me to put in the effort to keep her washed and maintained to the best of my ability. Lastly I’d like to thank the club for giving me this prestigious award, it means so much. I will without doubt keep this car for the duration. I’m proud to carry the club name on my car. Congratulations once again to Lee!